The Wilmette Fire Department recently completed its re-accreditation on-site evaluation. The purpose of this evaluation was to investigate and verify that the Wilmette Fire Department is meeting and is in compliance with over 230 individual performance indicators. The team of assessors representing the Center for Public Safety (CPSE) is comprised of four volunteer fire service executives from around the country. After the four day evaluation, the team indicated they were very impressed with the Fire Department’s operations and level of compliance with the standards. The Fire Department originally received accreditation honors in 2001 and today is one of 234 accredited agencies world wide, only 16 of which are in Illinois. The accredited agency status is valid for five years, at which point the agency must re-apply and complete the formal process again. Of note is that Wilmette is one of very few communities in the entire country that has both CPSE and Law Enforcement (CALEA) accredited fire and police agencies. 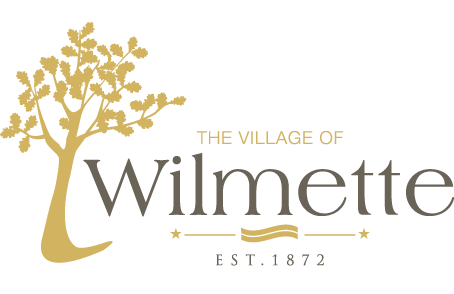 With this most recent on-site evaluation, Wilmette is now a four-time accredited agency. The accreditation process takes into account how fire services have broadened in scope over the years. While Insurances Services Office/Commercial Risk Services (ISO/CRS) measures the ability to put out fires, accreditation looks at the effectiveness in providing emergency medical services, fire prevention and education activities, as well as emergency planning and other issues. In short, the process allows the Fire Department to benchmark against best practice standards and provides a framework for continuous improvement. The assessment team was particularly impressed with the level of cooperation among Fire Departments in the area and recommended that we publish a “Best Practices Guide ” to highlight these efforts.